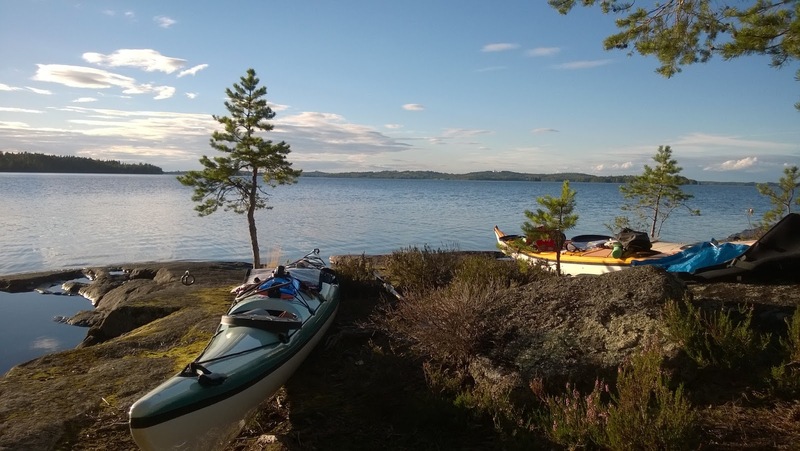 The first weekend of September was booked for a short paddling trip at Etelä-Konnevesi National Park. Started paddling on Saturday morning from small harbor, which were next to National Park. Etelä-Konnevesi is one of the newest National Parks in Finland. There are lots of small rocky islands in a tiny area of Konnevesi - lake. It was beautiful day with sunshine when we paddled slowly and silently in the maze of the islands. We spotted other paddlers as well during the day, they were coming from Kuopio. They stayed and had reserved sauna, but we continued our way to small island where we stayed overnight. The paddling route of Saturday can be seen here. On Sunday we headed quite straight back to harbor and our cars. The day was clouder and colder than Saturday. The paddling route of Sunday can be seen here.